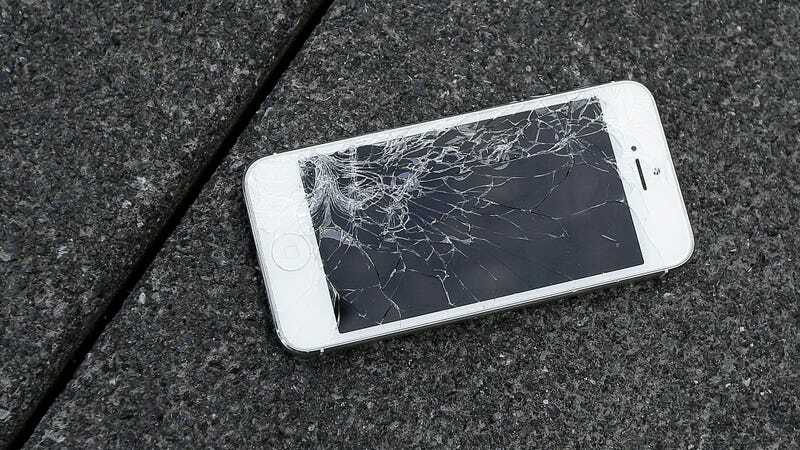 Agents for the United States Customs and Border Patrol seized at least two dozen iPhones screens and other components that were on their way to a prominent phone repair expert and “right to repair” advocate, according to a report from Motherboard. The so-called “grey market” parts commonly used by third-party repair shops were picked off by the government agents at a shipping facility. Jenna Jones, the purchaser of the goods, has been one of the most vocal supporters of laws that would allow consumers to repair their own goods without having to go through first-party manufacturers. According to a CBP letter provided to Motherboard by Jones, agents seized a total of 24 iPhone LCD screens and 4 other LCD displays, valued at $262.57. Jones disputes the account and claims a number of other components were swept up by CBP. Motherboard reported an invoice from Jones showed a total of 38 screens for the iPhone 6, 6S, and 6+ were taken, as well as an iPad mini digitizer and several logic board chips. Jones reportedly paid $1,727 for the parts. The screens, which were seized from a DHL building located in Rochester, New York, seem to be the primary concern. They were purchased from a supplier in China that sells original, refurbished, and aftermarket screens. According to CBP, the displays may be counterfeit and in violation of trademark law. “Customs and Border Protection Regulations provide that any article imported into the United States bearing a counterfeit trademark shall be seized and, in the absence of the written consent of the trademark owner, forfeited for violation of the Customs laws,” the letter from the agency read. Jones, the owner of iPad Rehab in Mendon, New York, has made a successful career out of serving as a third-party repair expert. She operates a YouTube channel with more than 65,000 subscribers and has become a go-to voice in the right to repair movement. Just last week, prior to the seizure of the iPhone screens, Jones spoke at a press conference at the New York state capitol, where she advocated for a right to repair law in the state. Right to repair bills have garnered increased interest in recent years as consumers have searched for alternatives to service their damaged electronics. Eighteen states in total have proposed such laws, which would require manufacturers to make repair specifications available so owners can purchase and install replacement parts on their own or go to a third-party repair shop like the one Jones operates. Without such a bill, Jones and others like her are forced to operate in a grey area. While they can get authorized by manufacturers, they are limited with regard to the parts they can use and repairs they can make. Operating as an independent repair provider allows them to perform a wider range of services, but presents challenges like part seizures—a practice many companies use to maintain their hold on the repair market. Unsurprisingly, Apple is one of the staunchest opponents of the right to repair laws. Microsoft and Sony have also expressed their disinterest in allowing such bills to go into effect. With the cash to drop money into the pockets of lawmakers through lobbying efforts and the apparent ability to use trademark law to prevent parts from ever making it to third-party repair pros, it seems like the tech giants will continue to get their way.